Want to activate the creative juices and that musical intelligence in your students? Make learning come alive? Reinforce your content standards? 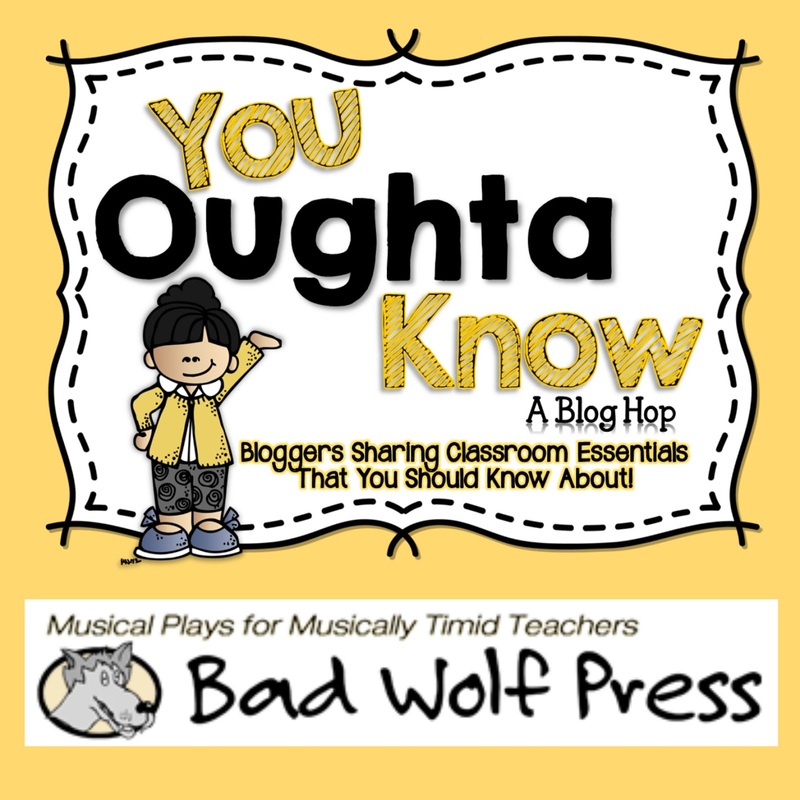 Then You Oughta Know about Bad Wolf Press! Blog Hopping for the first time with Jasmine at Buzzin’ with Mrs. McClain! I discovered this amazing company YEARS ago at a California Reading Association conference. Their founders, John Heath and Ron Fink, are BRILLIANT! They’ve taken various content standards, written a play with silly, often hilarious lines, and set it to music! The songs cannot help but get stuck in your head, and meanwhile, your class sings them over and over, reinforcing the concepts! Sadly, Ron passed away a few years ago, but John has continued to produce more scripts and lyrics with other writers. What I love the most about Bad Wolf Press is that you don’t have to be musical or a drama teacher to put a play on with your class. Because I am definitely NOT musical (as my many piano and guitar teachers will confirm)!! In fact, their logo states: For Musically Timid Teachers!! Each play comes with the script and a CD with a vocal soundtrack and an instrumental soundtrack. And now you can even buy the plays digitally; you can download the music files and the script as a pdf! They give easy to follow suggestions for minimal costumes and easy staging. 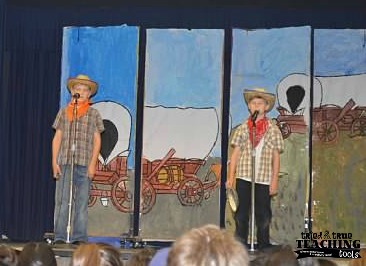 My classes have performed in our classroom, as well as in our MPR/auditorium. 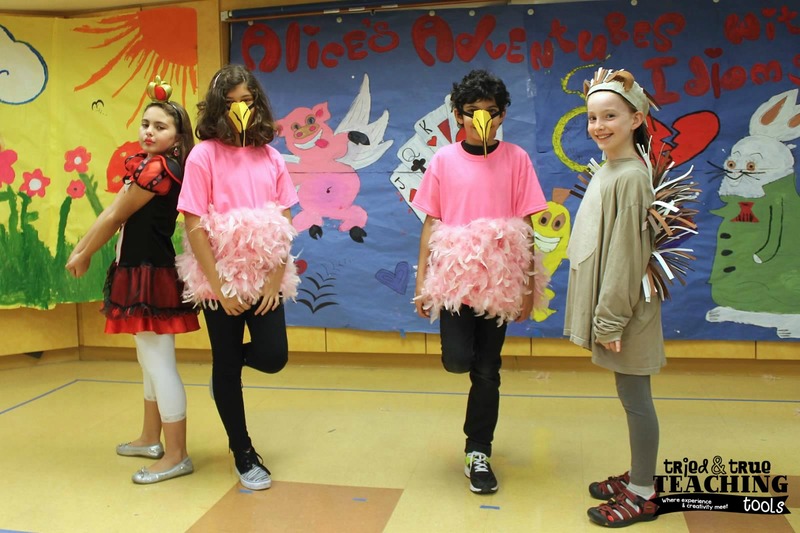 Bad Wolf Press has plays for all grade levels and a variety of content areas. Since I teach fourth grade in California, our Social Studies curriculum focuses on California history. 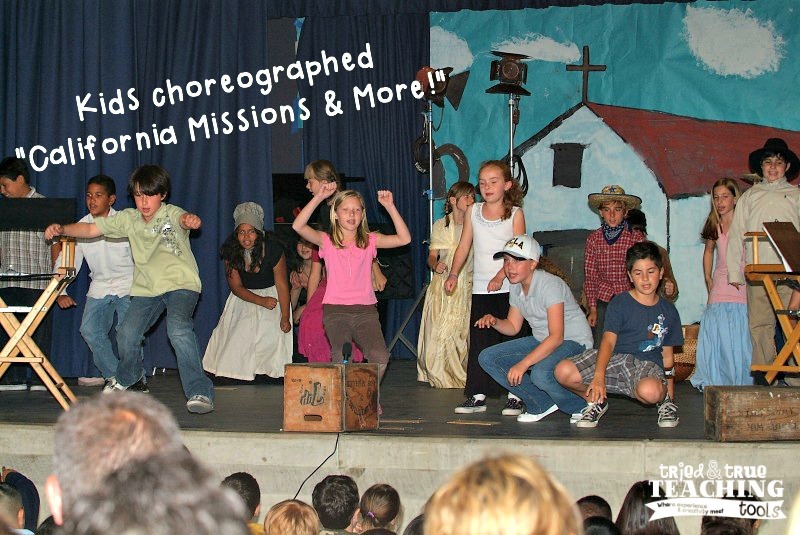 We’ve performed Gold Dust or Bust, California Missions and More, as well as The Incredible Westward Movement. All these plays reinforced our history standards, while being great fun, too! There are science-based plays such as Geology Rocks, Life Cycles: How Plants and Animals Change, and It’s Electrifying (starring Benjamin Franklin on an electric guitar). Again, all aligned with our fourth grade science standards! 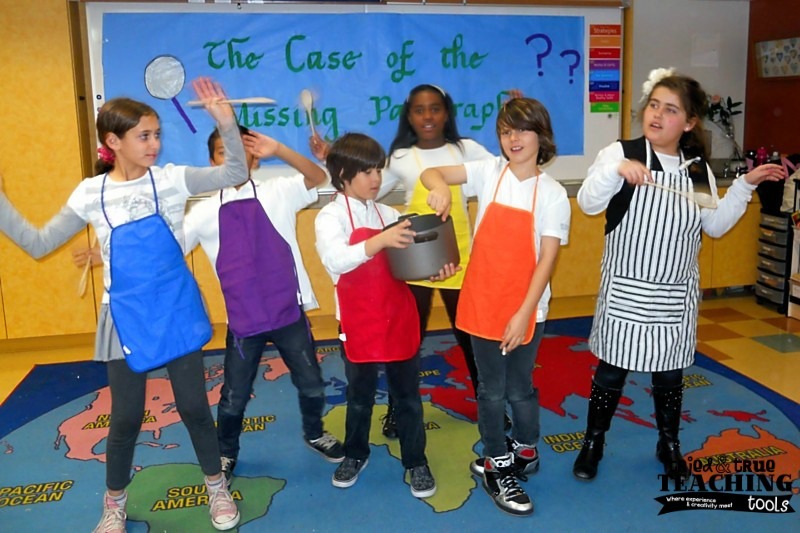 Some of my other favorites are The Case of the Missing Paragraph (how to make writing and revision better), Bullies Anonymous, Pirates of Grammar Island, Alice’s Adventure with Idioms, and we are currently rehearsing for Good Manners: A Quest for Etiquette! I cannot emphasize how much my kids and I LOVE these plays!! Even my quiet, shy students belt out the songs and their lines!! 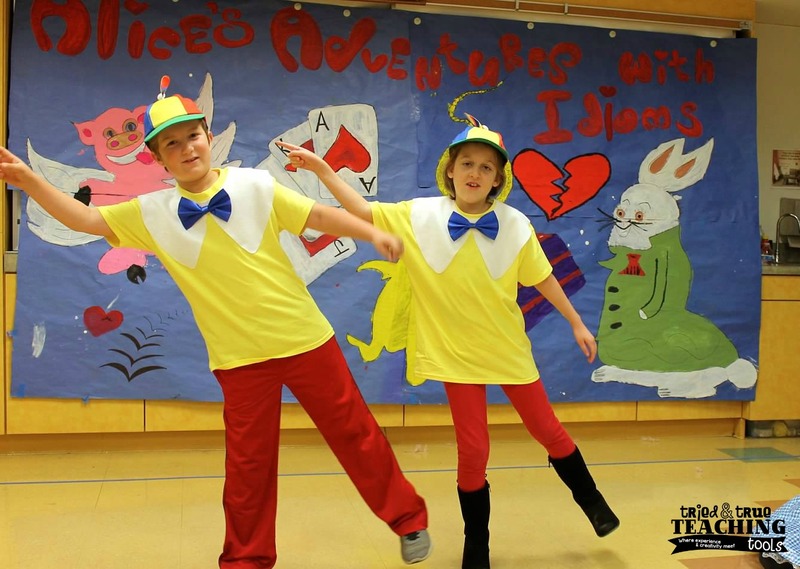 Kids automatically start to choreograph moves to the songs and the whole play becomes student-run! There are always several children who want to be the sound engineer (running the iPod) or stage manager (opening and closing the curtains). 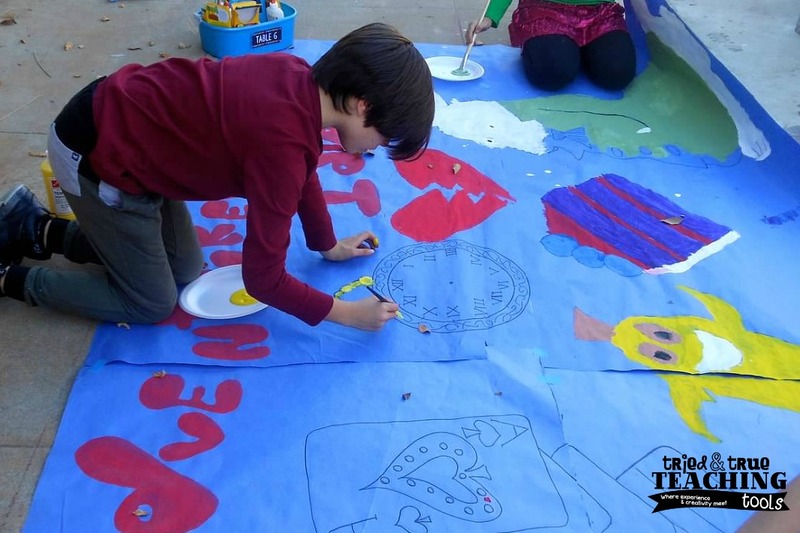 Other crafty kids volunteer to make props and sketch out the scenery. (Although I will admit: kids submit their drawings/ideas, but then I have an adult help to enlarge it.) 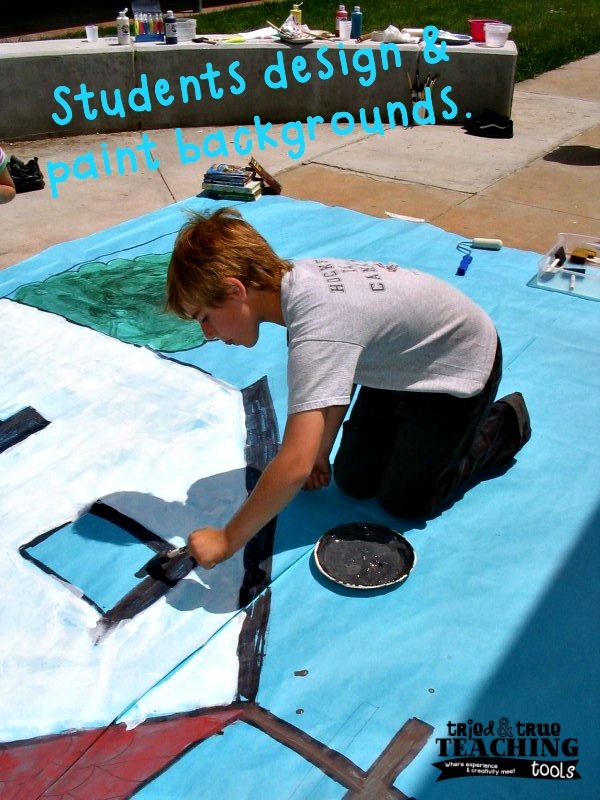 Then the kids paint the scenery, and again, I have an adult go back to outline images. Or you don’t need scenery at all! The plays pretty much run themselves and YOU will enjoy teaching using them! I have about 17 different Bad Wolf Press plays and so far I’ve never had one not be a success! Now hop on over to one of these other fabulous blogs to check out more that You Oughta Know! Hi there! This looks amazing! My kiddos would have so much fun and I love that there is such a wide variety of concepts covered. Thank you so much for sharing such an awesome resource! Hi Mollie, your kids WILL love these plays!! There's a part for everyone & reviewing the script over and over also reinforces their reading skills!! I hope you try one! That looks like so much fun! I have never tried doing anything like this with my class. We do a Christmas concert, but that is mostly organized by the music teacher. Thanks for sharing this neat resource! When I taught 1st & 2nd grades, my kids were fabulous!! There are some awesome primary grade plays! Your kids will not only learn a lot, but you'll enjoy teaching using them! I love these!!!! Are there ones that are appropriate for kindergarten? My kiddos LOVE readers theater so these would be awesome to extend the fun! Yes!! There are plays for kinder also!! And they will catch on to the songs quickly! I hope you use them; thanks for stopping by, Jessica! Hi! Thanks so much for sharing this. It looks amazing and that the kiddos are having fun. I will have to look into it and see if it would work for kindergarten. Hi Suzanne! Yes, there are plays for kinder! I've seen a kinder teacher do one of the plays in her classroom. She didn't worry about costumes; she just hung signs around the kids' necks, naming which character they were. And to make it less stressful also, she played the vocal soundtrack so the kids had back-up voices singing along with them. It was terrific! I am musically restricted in my class, students will hiss and boo if I threaten to sing when they get too loud. Bad Wolf does sound like a great resource for me! I usually get non-musical plays from http://monthbymonth.scholastic.com/index.html under their plays and poems link. This month they have an earth day and a butterfly play. "Musically restricted" I love that!! Made me laugh because it describes me perfectly, too! Can't wait to check out the Scholastic plays. Thanks!! This is so great! I definitely want to try this before the school year ends. Thanks for sharing! Thanks for hosting, Jasmine; I learned SO many new ideas!! LOVE this blog hop!! I met Ron also, but he didn't invite me to his house!! :) I have cassettes of a few of the plays, too! I'm so happy to find another teacher who loves Bad Wolf Press as much as I do! Now the majority of teachers at my school put on at least 1 of their plays per year!! the parents love it! Thanks for stopping by, Melora!